1. About Us: Users can view company information that is updated through the administrative backend. 2. Locations: Maps are displayed so users can easily find directions. 3. Contact Us: Users can fill out a form to contact the admin. 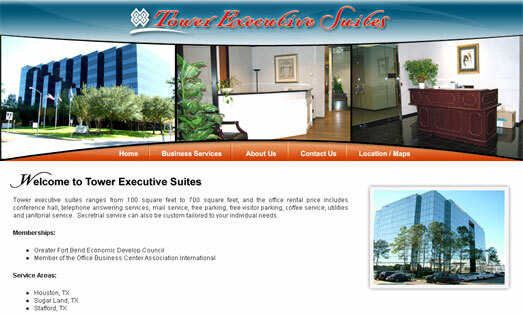 Segnant made the Tower Executive Suites site design clean and easy to use through the site layout and functionality. The admin can easily maintain the site content so it remains up-to-date.